Upcoming Visit to the U.S.
We hope all of you are doing well. We miss and love you guys. 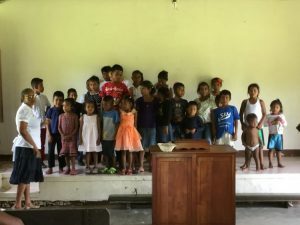 Here is an update on what God is and has been doing here in Honduras through our ministry with SCORE. 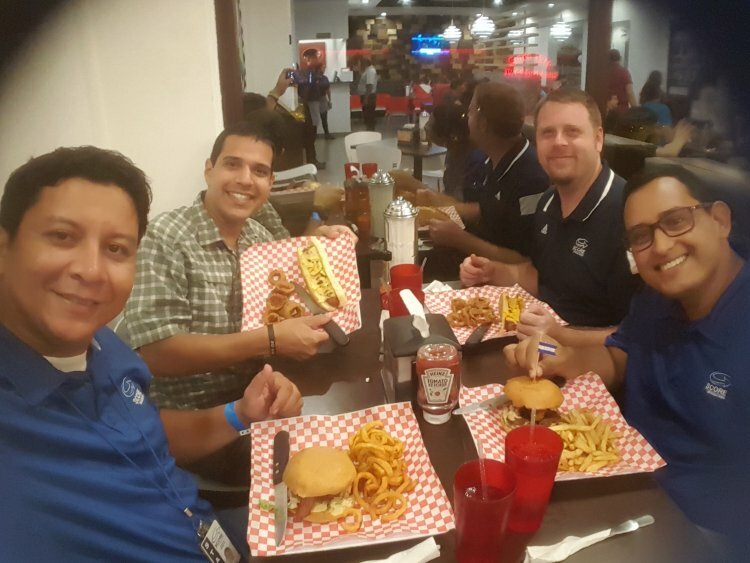 Recently, we enjoyed an evening out with our SCORE teammates. To begin, 2019 started off very busy for our ministry here! 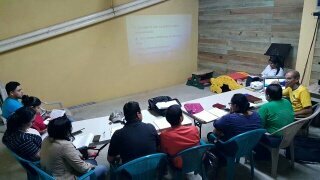 The SCORE team had an Overseas Instruction in Counseling (OIC) make-up module Session in January (From the November Session) at our church for 3 days. This Biblical Counseling Module has been hosted in our local church through SCORE. After that, the SCORE team went to several different cities sharing about the ministry of SCORE and the possibilities of working with more local churches and schools in the upcoming months. It’s so neat to see how the ministry network for SCORE continues to reach new regions in Honduras and surrounding countries. Moreover, David has been very busy preparing and teaching Bible classes at our church as well as teaching Bible study in our home on a weekly basis. David also had the opportunity to disciple a young man named Adaly, from a remote town, alongside his SCORE and church teammates. This young man is being discipled to start a church plant in his town. 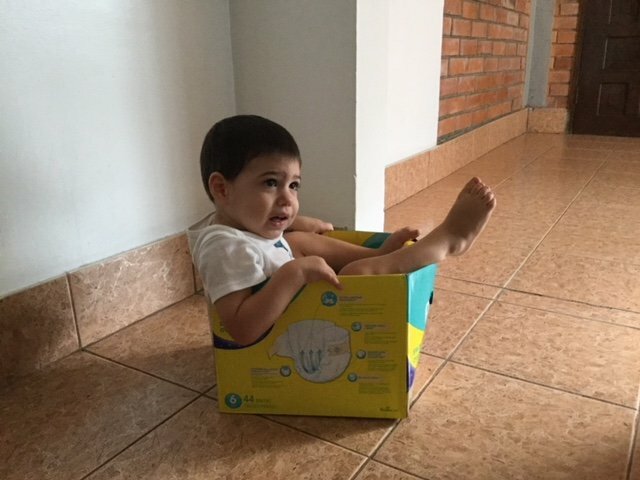 He has returned home and is already implementing what he learned here. I, Hannah, enjoy teaching English on Monday evenings and have 3 new students in my class. My Kid’s Club continues to do well and the kids are excited about learning the Word of God each week. It’s a time of Bible lesson, worship, craft, and snacks. 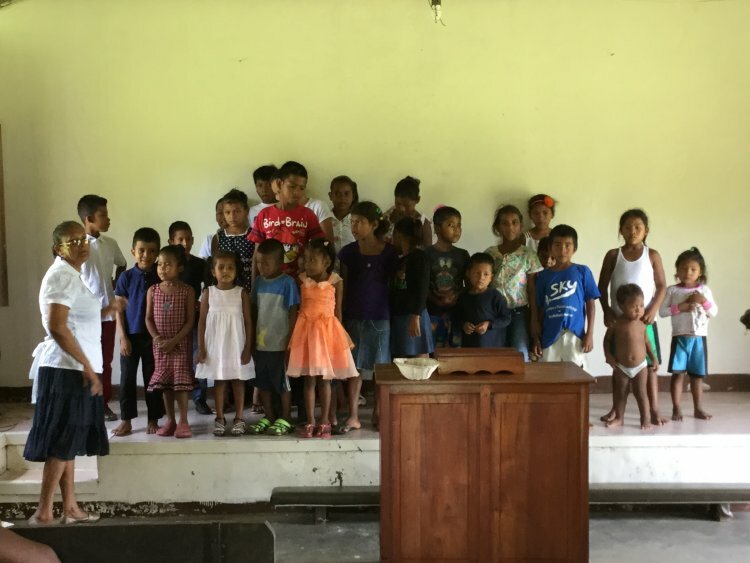 They have the opportunity to memorize a verse each week to win a prize and so far they are all being faithful in hiding God’s Word in their hearts. It’s wonderful to see growth taking place in their hearts, through evangelism and discipleship. Praise the Lord! I feel blessed to see my schedule filled as a full-time wife, mother, and teacher. It is a great privilege to serve my family and my God. Nicholas continues to grow and change so much. His 3rd birthday is April 5th, and we are excited to share his special day with family in NC. He loves to speak in English and Spanish and is quite the talker! 🙂 He is a true joy to our family. Our current immediate goal is transitioning him from diapers to underwear. But it will all happen in God’s timing and when Nicholas is ready. Nicholas, with the other missionary kids on the SCORE team. Our visit back to the States is scheduled for March 18th- May 1st. 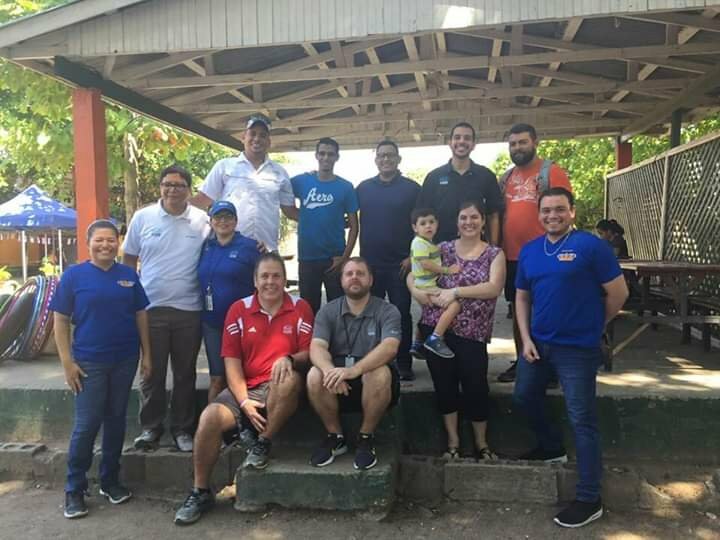 The Lord has been faithful in filling our calendar with opportunities to share about His work in evangelism, discipleship, and church planting through our team and the faithful Hondurans that we work alongside with on a daily basis. Furthermore, multiple churches are doing fundraisers and love offerings to help us raise the necessary funds to buy a secondary ministry vehicle. Below is the tentative schedule of churches. Please feel free to join us in one of the services. We would love to connect with you! We will also have times available during each week to catch up with many of you in person. Simply contact us, and let us know asap that you are interested in fellowshipping with us. Wednesday, April 10th– Union Grove Baptist Church- Lexington, NC- Dinner with the Moras fundraiser before the evening service. All are welcome to come. We hope to see many of you soon! 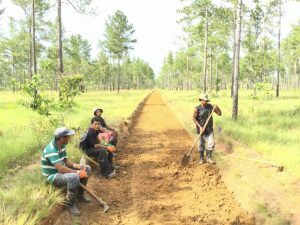 We wanted to give you an exciting update on what has been going on here in Honduras. To begin, we have been adjusting to life here. September proved to be a very hot month with lots of days and nights without electricity, but we have welcomed cooler temperatures in October and especially in November. Adjusting to life here isn’t just with the heat, but also with getting use to not having the comforts of home. We adjusted well last year living in the jungle, and praise the Lord he has made this transition smooth. We love the home God has blessed us with and are able to host friends and even our small group here on Wednesday nights. We pray God will use our home for ministry and to bless others. We have tried forming relationships with our neighbors in hopes to sharing Christ with them and also inviting them to our small group study. 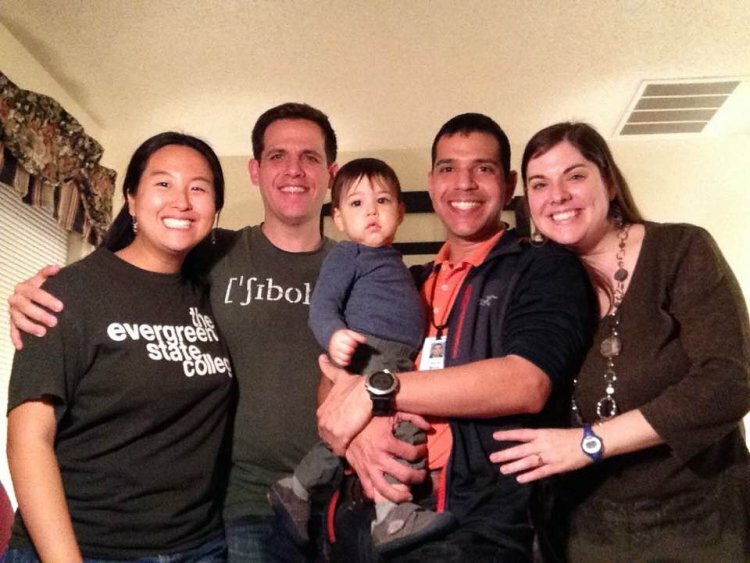 Pictured above: Our neighbors we have enjoyed getting to know! 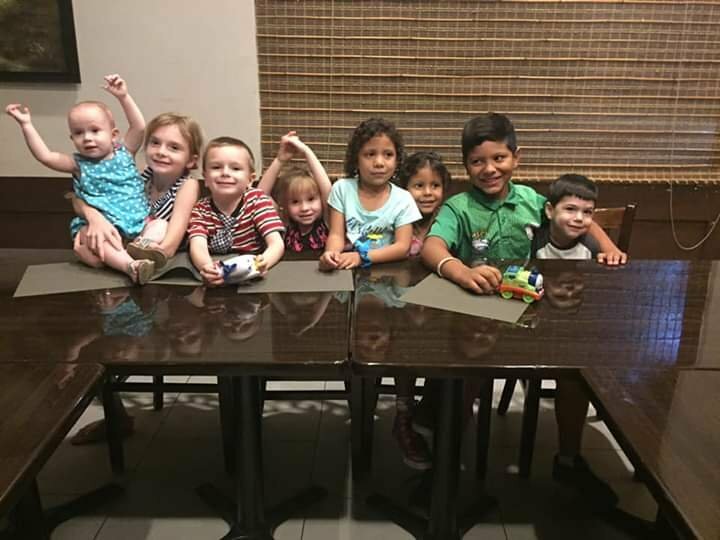 Pictured below: Some sweet friends from our church family. David has started ministry with the SCORE team and is heavily involved with them. 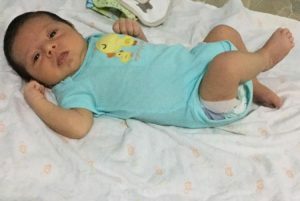 Our second month here was used to help our teammates as they lost a lot in the flood that occurred on October 25th and also with their new addition to their family, baby Evangelina. We praise the Lord for the safety and protection he gave all of us. David attends and will soon be teaching (on a rotation basis) a Monday night discipleship class/ Bible training. He also has started leading our small group study in our home on Wednesday nights. He enjoys being a part of the team and helping where he can. We also found a church home here that we have enjoyed being a part of. They have made us feel very welcome. I (Hannah) am looking forward to getting involved in the children’s ministry in December. I am also praying about an opportunity in a local Christian school to become a volunteer as the Lord leads. Most of my time is spent taking care of Nicholas and our home, which I love. We have enjoyed our time with Geraldina. Thanksgiving lunch for the SCORE team that we hosted at our home. We praise the Lord for a beautiful home to use for his glory. Nicholas is almost 20 months old and continues to grow quickly. He has long legs and loves to run all around the house. 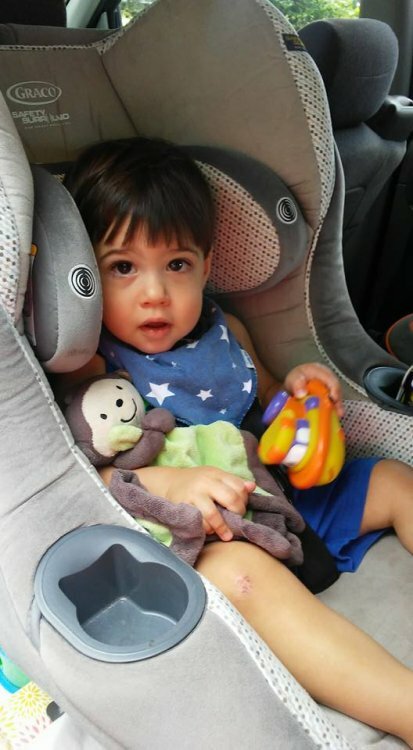 He is learning new words all the time, but his favorite words right now are “This”, “Mommy”, “Daddy”, “Chester”, “Papa” (For Hannah’s dad), and of course “No”. 🙂 He has the sweetest little personality and we love him dearly. He loves to eat and will eat practically anything, which he takes after his daddy on. We praise the Lord for our sweet boy and that he continues to be healthy. Homesickness is certain during this season and we ask you to pray for our family as we do miss spending the holidays with our family and friends back home. Please be in prayer as Honduras is going through a difficult time with the elections. There are many protests, riots, vandalism, burglary, violence, etc going on. We are safe in our gated neighbourhood that we live in. We have been staying home until a lot of this clears up. There is even a national curfew at 6 pm to 6 am to keep many of the people off the streets. Please be in prayer for the situation. We are thankful our trust is in the Lord and safety comes from him. Pray for more opportunities to share the gospel with those around us, especially in our neighbourhood. 2018 is quickly approaching and we are excited for all the ministry opportunities to come. SCORE has some teams scheduled to come in 2018. Just to put your minds at ease, the political turmoil in this country will Lord willing soon pass. Therefore, we would love to invite you to join one of the teams or even bring your own team! Please contact us for more information. We would love to see you! Thank you for your continued prayers and financial support. We appreciate and love all of you! We arrived in Honduras on Tuesday, September 5th. We praise the Lord for a safe arrival and a sweet welcome from our SCORE teammates. We feel so blessed to be here and are so thankful for all of you supporting us by prayer and finances to make this possible. The SCORE guys enjoying a bite to eat after a night of ministry. 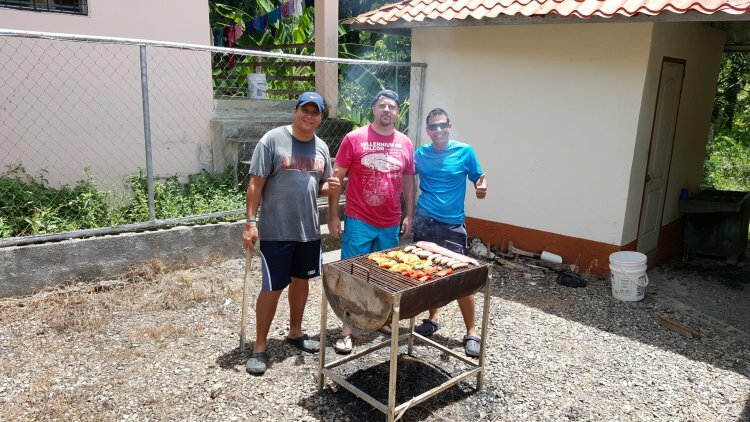 Our teammates and their families held a special barbeque and pool day for us this past Saturday to welcome us here. It was so encouraging and we LOVE our team that God has placed us on. We all get along great and we look forward to working with them. For the past two months, we have prayed fervently for a home in a safe area and preferably the same neighborhood as our teammates. We also set a certain budget. God answered that prayer on the 3rd day here! 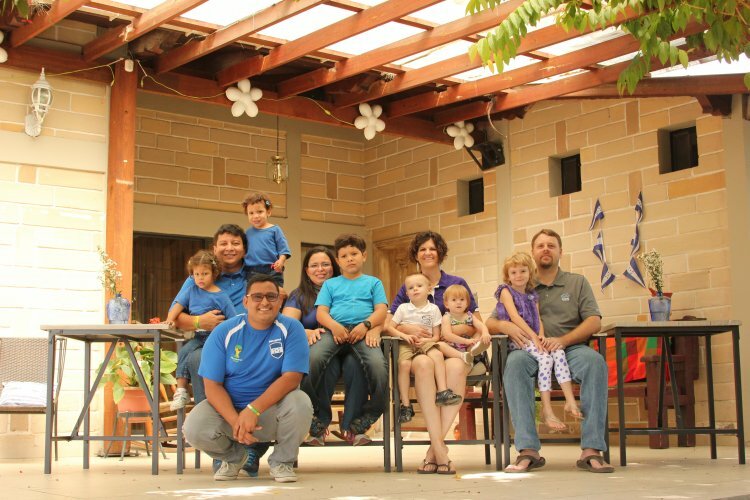 We found a beautiful Honduran home that we absolutely love. It is within walking distance from our teammates’ home and is within our budget! God is SO good. We can’t wait to host many of you and have you come visit in the future. We have slowly been unpacking, cleaning,and doing minor repairs on the home this past week. We will be able to sleep in our home Friday night (15th). We are so excited to be established here. We are still on the look out for a reliable car within our budget range. Please continue to pray that God will direct us to the vehicle he has for our family. David was able to attend church this past Sunday; however, Hannah and Nicholas had to stay behind due to him having a cold and a fever. We praise the Lord he has recovered from that. We hope to all be in church this Sunday as a family. Nicholas is adjusting well here. He loves all of his new friends on our team. We are happy he has other kids his age to play with. He just turned 17 months old last Tuesday. We praise the Lord for this little guy! ~ It is HOT. And we are thankful to have fans during the day to help with the heat. Please pray for us as we re-adjust to the heat and humidity. We hope you enjoyed our quick update. We will be sending out a newsletter in October with more details about our ministry here. We miss and love you guys!! The date we’ve all waited for! The date has been set and the airline tickets have been purchased! We will Lord willing leave on Tuesday, September 5th for Honduras. We will be heading south to Florida on August 29th to visit family and friends who support us before we leave the country. We are so excited to be heading back to the country we love. For now, the month of July and August will be spent transferring our financial supporters over to SCORE, sharing at churches, and raising additional support before we head back. Please pray as we are still in need of some monthly support and outgoing expenses. If you are not currently a part of our support team, would YOU pray about partnering with us monthly? Please consider partnering with us $1 a day or an amount that you feel led to give. 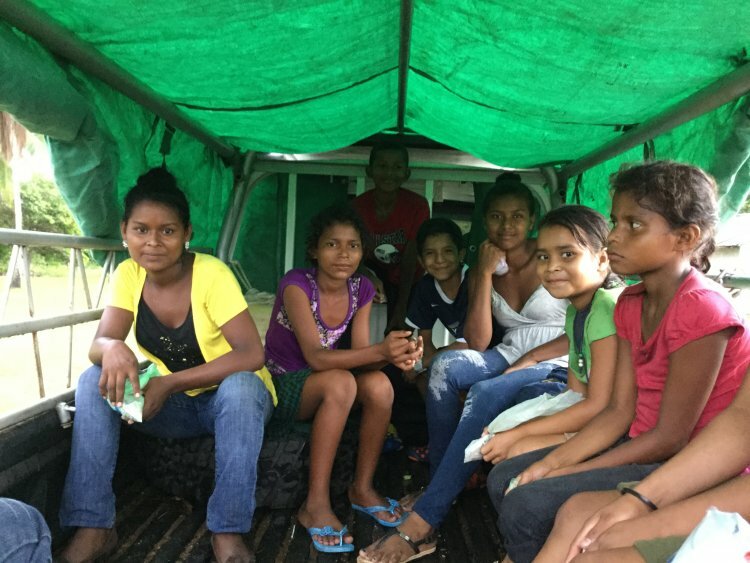 Vehicle Fund- $5,000- $10,000 (minimum) – The reason for the purchase of a reliable vehicle is due to the lack of personal safety in Honduran public transportation and all of the traveling involved in our new ministry. Monthly supporters are still needed. 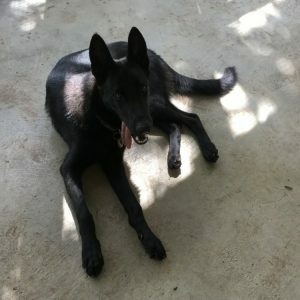 We are in need of $500.00 more a month. Though our resent transition in missions was difficult and very unexpected, we have enjoyed our time with family and friends in NC and surrounding states. It has been wonderful to reconnect with many of you. We will be speaking at more churches in July/August. Please drop by at one of the services to say hi if we haven’t seen you. We have a few more dates open and are in the process of scheduling more churches. We love and appreciate all of you! Thank you for your continued prayers and financial support. We look forward to seeing many of you soon. We trust all of you are doing well and enjoying the warm weather. 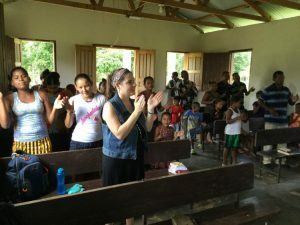 As for us, we are doing well and continuing to serve in ministry while we transition back to Honduras. 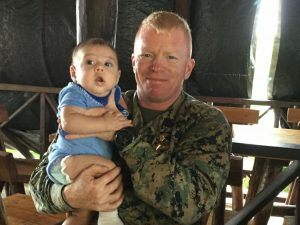 When will you return to Honduras is the question we often hear. 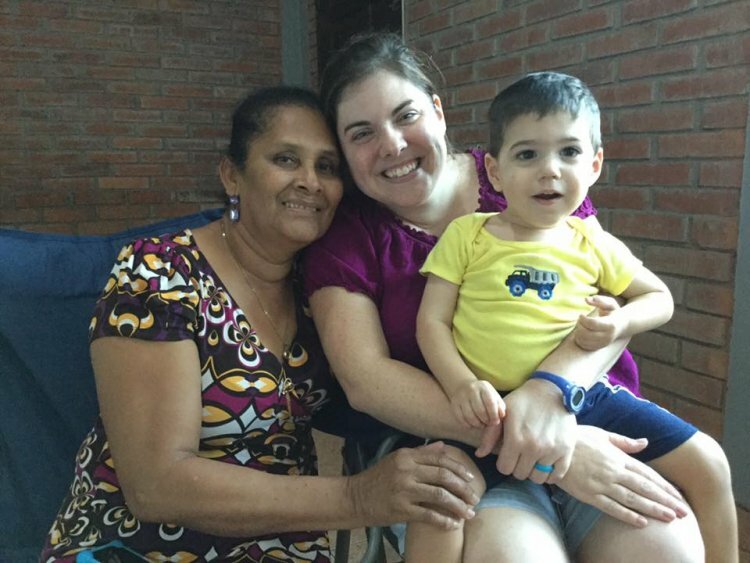 We have been in much prayer about a new ministry/agency in Honduras. We took a recent trip to Honduras in mid May with the intention of looking at a possible ministry to join. Our entire trip went wonderful, and we praise the Lord for a successful visit. 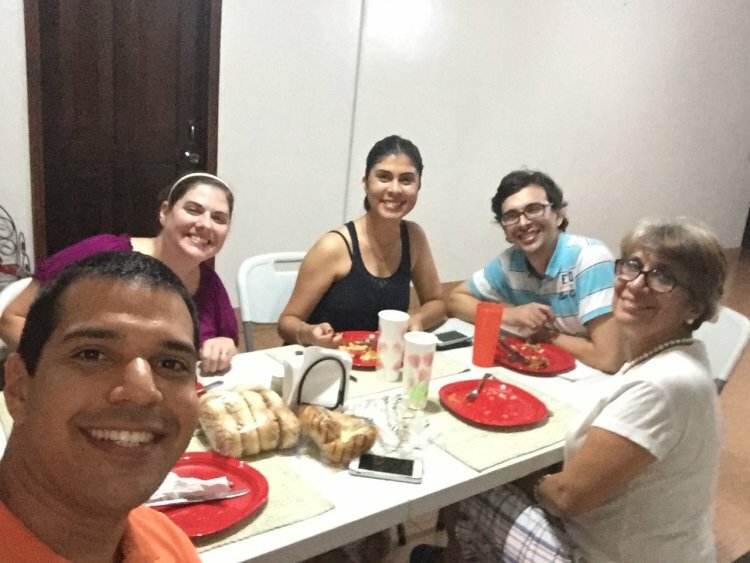 David was able to reconnect with our friends in the city of La Ceiba and in the village of Rus Rus. 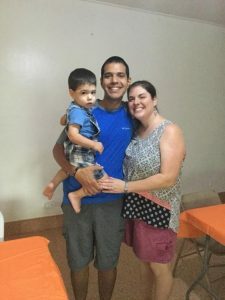 With the help of many Honduran friends and family in Christ, David was able to move all of our personal belongings from the jungle by truck and then by ship around the country. We got word soon after that all of our items arrived safely in a Honduran city. 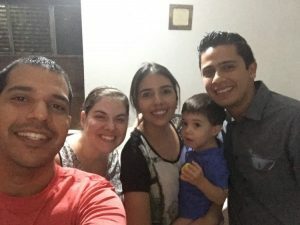 We praise the Lord for the network of friends and family in Christ we have in Honduras. We love these people dearly and are grateful for their assistance. David and Manuel driving through the jungle to retrieve our personal belongings. 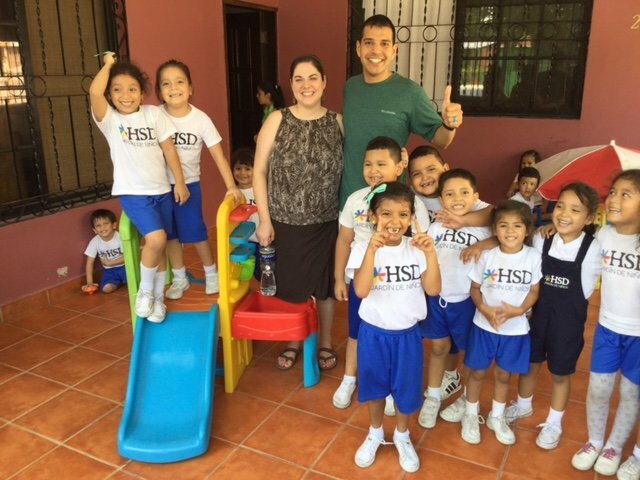 During our vision trip, we were able to see the Honduran program of SCORE International. The missionaries, Ryan and Megan Hansen, are working faithfully in San Pedro Sula and surrounding areas. The ministry focuses on local church and school ministries with evangelism, discipleship, and church leadership training. 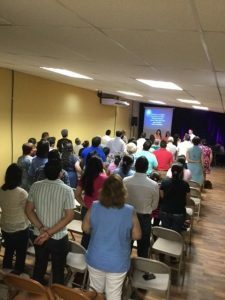 Some of their ministry strategies are to mobilize nationals, utilize church planting, and implement training conferences in local churches and schools. We fell in love with this ministry and all they are doing for the kingdom of God. 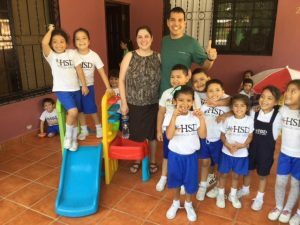 Hannah was especially excited to see the Christian bilingual school there and the possibilities there could be for her as a teacher. As of June 6th, we were officially accepted for the one year apprenticeship program with SCORE International in Honduras. Before becoming a career missionary with SCORE, every new missionary with SCORE must be an apprentice for the first year. Being an apprentice with SCORE will give us the opportunity to see and work in the ministry first hand while also being mentored by veteran missionaries. We are excited about this ministry and all God has in store for us. The local church we will be working with in San Pedro Sula. The Christian bilingual school we got to visit. 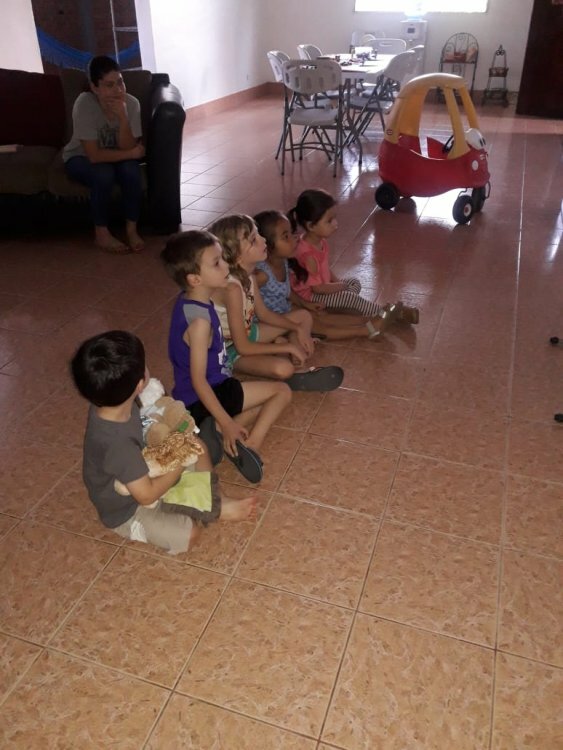 While we wait, we have continued to help and minister from afar to our family in Christ in La Ceiba and in Rus Rus. Because of your continued financial support, we are able to continue supporting some of the ministries there and be an encouragement to the body of Christ. We are also saving a lot of our support for outgoing expenses that we will need once we redeploy to Honduras. One of our bigger expenses will be a vehicle for the city. We did not need a car in the jungle, but will need one in the city. We are also starting to reconnect with our supporting churches and will be making visits during the summer months. We look forward to catching up and seeing a lot of you as we begin traveling again soon. 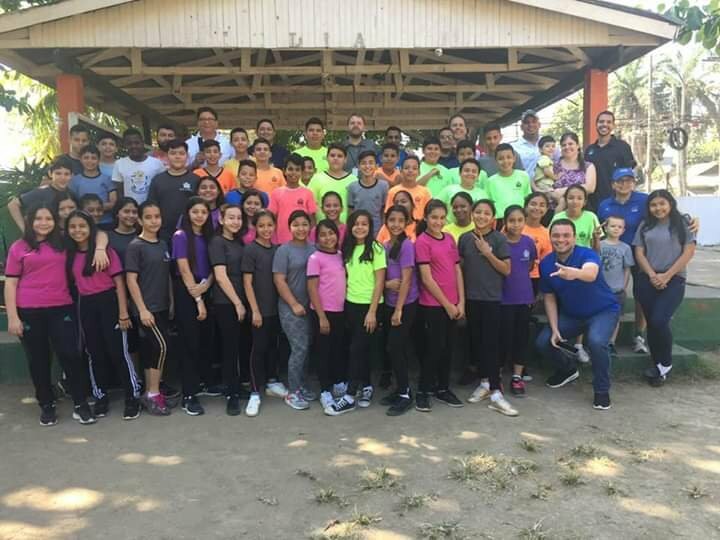 We are also involved in our home church and surrounding churches as we get ready to help with Vacation Bible School, Bible studies, and much more. In the month of June, we will be contacting all of our financial supporters to transition them to SCORE International. We are so thankful for each of you for your faithful prayers and support. Feel free to call or email us with any questions you might have or simply for us to pay you a visit. We are excited to see God at work! 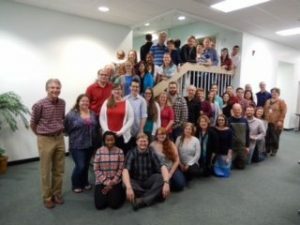 After a month of intense cross cultural training in Waxhaw, NC with JAARS (a sister branch of Wycliffe Bible Translators), we are back home in the mission house in Lexington, NC. It feels great to be back! David is only here for a short time as he will depart this Friday, March 3rd for Nampa, Idaho for his MAF flight training. We wanted to share a quick update. We took an Intercultural Communications Course with JAARS. We learned some valuable information and even learned a lot about ourselves and how we can continue to grow in our walks with the Lord. Some of the topics covered: Strengths Finder, Theology of Suffering, Counting the Cost of being a Missionary, Raising Missionary Kids, How to deal with conflict Biblically, Emotional Hardiness, Sovereignty of God, Trauma and Missions, Crisis Contingency, Moral Purity, Armor of God, a deep study in the book of Ephesians, Idols of the Heart, Spiritual Retreat, Stones of Remembrance, and the list could go on! We would personally recommend this course to any missionary heading for overseas service. At the conclusion of our course, each participant had to select a stone for our Stones of Remembrance and write what stood out to them most and what God taught them. For myself (Hannah), I wrote “Perfect Peace” on my stone. I wanted to remember God’s Sovereignty above all and that he NEVER loses control. He always gives us perfect peace, even in the midst of chaos. If you have time, you tube the song by Laura Story called “Perfect Peace.” I am sure it will encourage your heart. For David, he wrote “Identity in Christ” and “Boldness in Christ” on his stone. He learned to solidify his identity in Christ and learn to become more bold through Christ in Godly confrontation. Overall, we thoroughly enjoyed the course and were challenged in different ways to grow more in our walks with the Lord. We were able to have a marriage seminar every Monday afternoon with other couples discussing how to “Field proof your Marriage.” We thoroughly enjoyed this “date” time as a couple learning and growing together. The month was also challenging as all three of us have dealt with sickness. We are almost on the mend and hope to be fully recovered soon. Overall, this was a month of pruning and growing closer to the Lord. Our new friends, Martin and Alice Reed, that we met at ICC. They are heading to Canada soon to work with Wycliffe Bible Translators. Nicholas has been a champ through all of our training and our recent move back to the U.S. We are so thankful for our happy little guy. He will be 11 months old this Sunday, March 5th. He crawls all over the house and has recently mastered pulling up. He is in everything, and we have had to start baby proofing our home here. But he is an absolute joy! For this child we prayed! 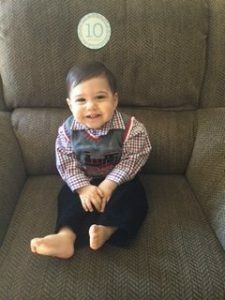 We are looking forward to celebrating his first birthday April 5th! Pictured Below: Swinging on the playground at JAARS. Such a big boy! David will be leaving this Friday morning for Nampa, Idaho. He will be at MAF (Missionary Aviation Fellowship) for a month of flight standardization. We sent out an email earlier this week asking people to sign up for a day to pray for David. 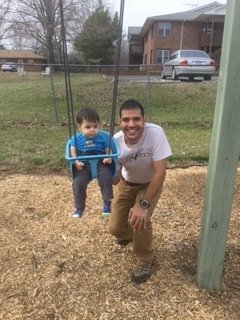 If you are interested in choosing a day of the week to pray each week for David, please email us at davidmora5@aol.com or message us on Facebook. For example, I will pray every Thursday of the month of March for David. We will send out updates each week to keep you informed on how you can best pray for him. We hope to visit some of our supporting churches when David returns from Idaho. If your church is interested in us speaking, please let us know. If you would like to communicate with me (Hannah) during the month of March, please feel free to email me at hannahmora23@aol.com. I would love to catch up with a lot of you, especially those in the Lexington/Winston-Salem area. As of now, we do not have an exact return date, but are in prayer about this. Would you pray with us? We are aiming to head back late spring/ early summer 2017 if the Lord allows. There are many things still left to be done before we can return, David’s training being the biggest of all. ~ April 18th-26th- We will be in Burlington, NC with our MAG Team for meetings/activities. ~ April 22nd- Missionary Air Group Open House (You are Invited) from 12:00-6:00 pm in Burlington, NC at the MAG Hangar. You can drop in any time that afternoon and BBQ will be served that evening for supper. Please let us know if you are coming or if you want more information. ~ Pray for David as he flies out this Friday morning. His training officially begins on Monday, March 6th. Pray for him to learn a lot and be safe as he flies for training. ~Pray for wisdom and direction concerning our soon return to Honduras. ~Pray for the village of Rus Rus to continue to grow in their walks with the Lord. We continue to stay in contact with our brothers and sisters in Christ there. They are fasting and praying weekly for our quick return. Thank you for your continued prayer and financial support. It has been wonderful reconnecting with a lot of you since we’ve been home. If you’re ever in the Winston-Salem area and would like to see us, please let us know. We will be visiting some of our supporting churches in the spring once David returns if we are able to. Here is our quarterly newsletter. We hope you enjoy reading all that God has done. We greatly appreciate all your prayers! We hope all of you are doing well. 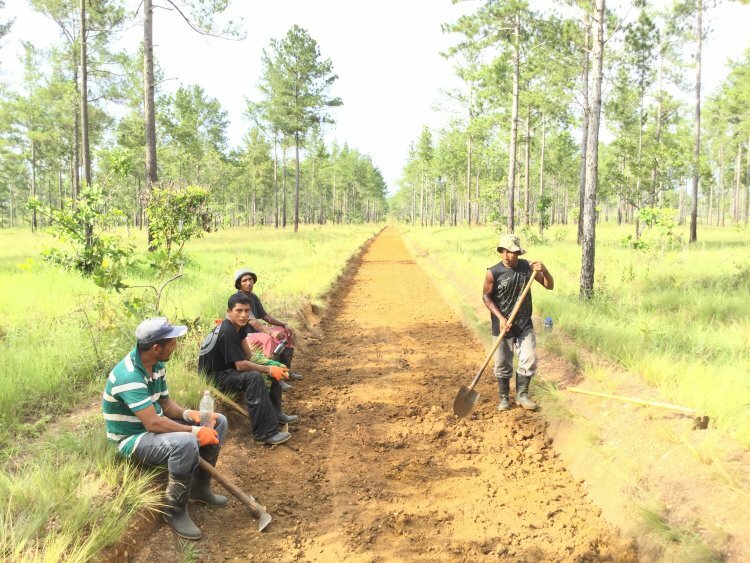 As for us, we continue to stay busy with what God has called us to do here in the jungle. We count it a privilege and blessing to serve the Miskito people here. We wanted to let you know what’s been going on with us over the past several weeks. Nicholas continues to grow strong and healthy. He is now 4 months old (As of August 5th). He weighs 15.8 pounds and is 25 inches long. He can bear weight on his legs, loves to laugh/coo/smile, sleeps through the night, and is a cuddle bug! We enjoy having him in our lives and can’t imagine our lives without him now. He has been the perfect picture of health, and we pray that he will continue to be as living out here is difficult to do with a sickly child. We praise the Lord for his health and protection over our son. We continue to get involved in the village here in various ways. David is preparing various upcoming Bible studies for the men here. I continue to teach through the book of Esther on Mondays. We have a few short chapters left and then we will be finished. We will be doing the Book of Ruth next. The women are very hungry for the Word of God. David continues to preach some in the church here. We hope to get more involved in children’s ministries in the future. God is definitely at work here in the church! David is involved in full-time maintenance alongside Wes on a daily basis. There is always a project to work on here. It’s like living on a farm! I stay very busy as a full-time wife and mom taking care of David and Nicholas, and also our home. We have one Miskito lady who comes once a week to help with some things around the house, which has been very helpful. It has also given me a chance to get to know another lady here in the village and develop friendships. Another good friend of mine is Geraldina, the head nurse of the village. God is using her greatly in the church and also in the hospital. She truly has a heart of gold. She has taken David and I under her wing. She also adores Nicholas. She is his “Miskito grandma”. 😉 David and I continue to pray that we will be able to build deeper relationships with the people here. The reason we are here is for the people, not for the airplane. If we lose sight of that, then we lose sight of what God has called us to do. Last week was one of the busiest weeks for us. We had to go to three different cities to get paperwork done for Nicholas and ourselves. 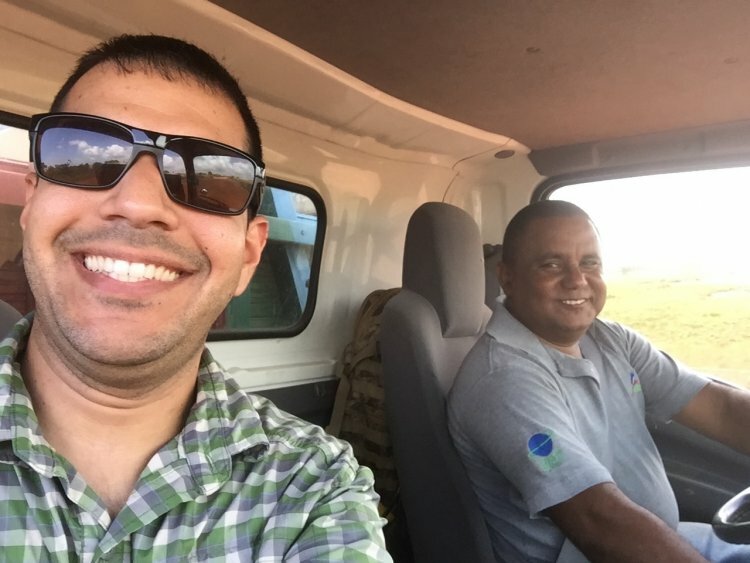 The plane was undergoing a little maintenance, so we took a truck ride into Puerto Lempira. Now this truck ride is not for the faint of heart. It’s about 5 hours from where we live and the roads are in horrible condition. I grew up going mudding on a four wheeler with my dad and brother, but this was true MUDDING. 😉 It was a pretty rough ride, but we are so thankful for the MAG Kia truck for instances like this. On our way to Puerto Lempira, we noticed a truck with several people pulled over to the side of the road with the hood up. Wes stopped the truck and we asked if they needed help. They didn’t speak very much Spanish, but we were able to understand that they had a very sick lady in the back of the truck in need of a hospital. We loaded her onto our truck and drove her in to Puerto Lempira as we were only about 30 minutes out. Showing the love of Jesus looks different, but we believe God placed us on the road at that time to help this family out. 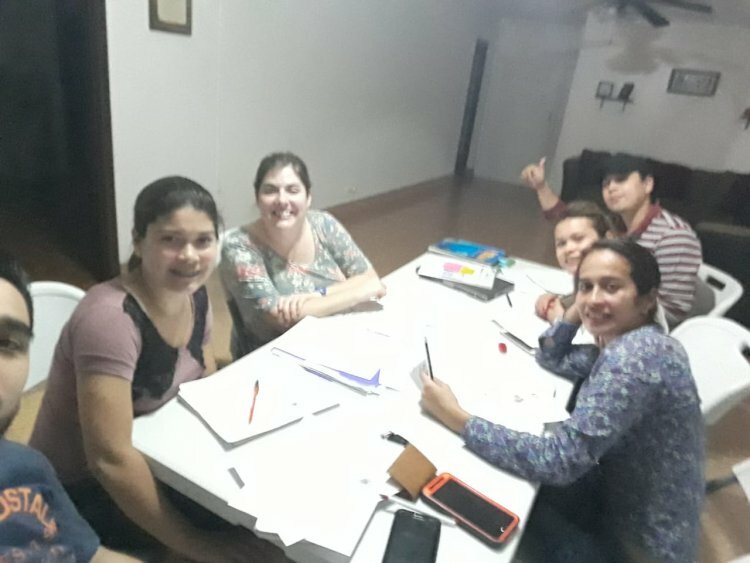 Praise the Lord for choosing to use the Wiles and ourselves here in La Mosquitia. 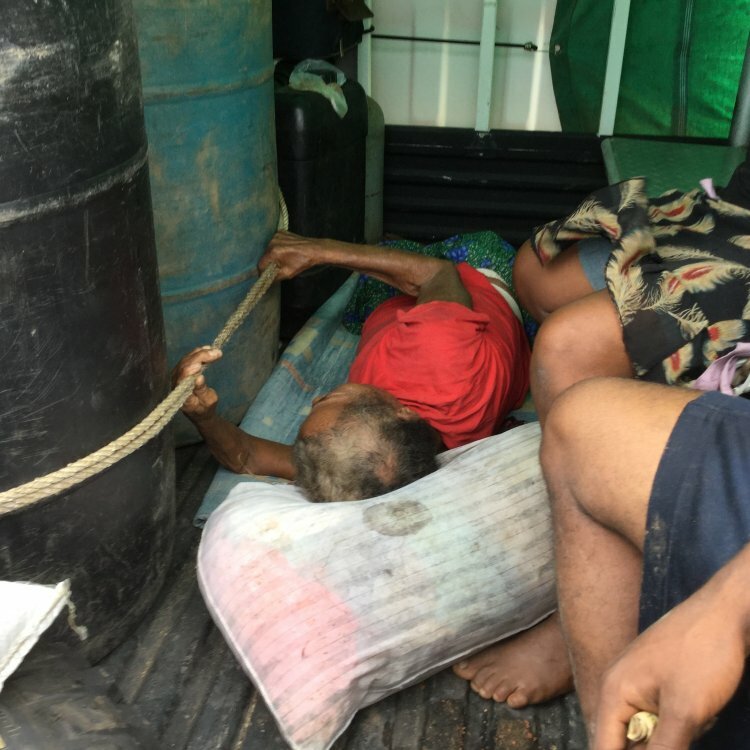 The sick lady laying on the truck bed on the rough ride in to Puerto Lempira. David sat in the back with this family. Once we arrived in Puerto Lempira, we enjoyed a delicious lunch with the Marines. Remember the Marines we told you about? Well we got to reconnect with them and have lunch with them! What a blessing! It’s so cool to see how God orchestrates all the details. 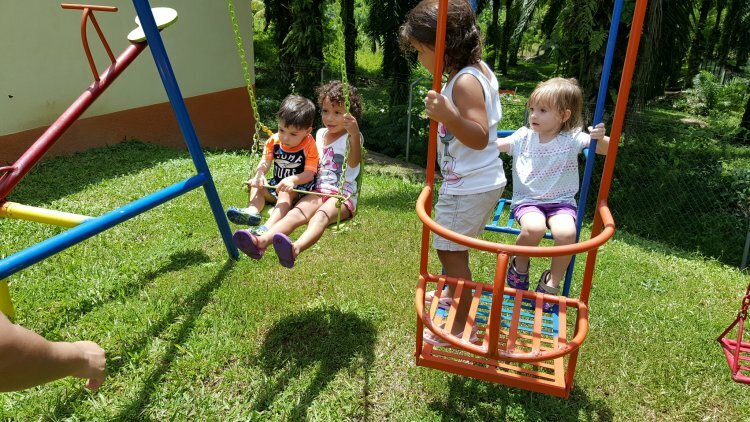 We then spent the night at House of Hope, which is a children’s home there in Puerto Lempira. We enjoyed meeting a new missionary couple and hearing about all God has done in their lives. They have a wonderful ministry there ministering to children and also to missionaries/teams that need a place to stay. We thoroughly enjoyed our lunch with the Marines. Nicholas enjoyed them too! The next morning, we got in a commercial plane and flew to La Ceiba, the city where we buy all of our supplies. The men at the airport were puzzled as to where the MAG plane was and why we flew commercial this time. 🙂 The whole afternoon was spent in the immigration office. After much time there, we received our temporary residency cards. We will receive our permanent plastic cards in a few weeks. Praise the Lord!! Another note of praise is God taking care of immigration late penalty fee of $320.00 that we thought we would have to pay. We showed up late due to us not being able to leave the jungle in time. 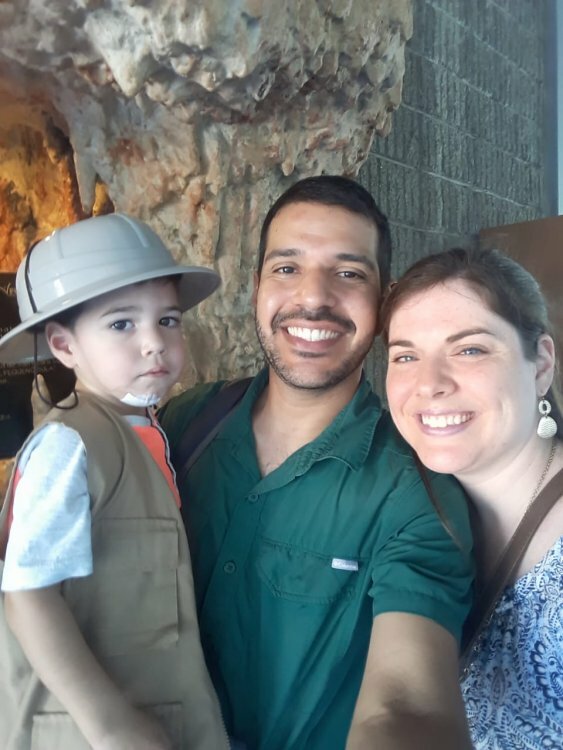 The immigration inspector (a believer in Christ) looked at us and said, “God is definitely at work in your lives.” We were thankful that God spared us the immigration fee we thought we were going to have to pay. How awesome is our God? As most of you saw on face book, a tropical storm that eventually turned into a hurricane was sweeping through our area. We left the next morning on a bus to head to San Pedro Sula, praying the weather would cooperate. Praise the Lord, it did! We were in San Pedro for two days. We went to the U.S. Consulate and brought all our paperwork we had been collecting for months for Nicholas. Everything went wonderful and he should receive his U.S. passport in 3-5 weeks. 🙂 God is so good. The next day, we had the privilege of attending a workshop through Honduran Fellowship Network, a network of missionaries here in Honduras. 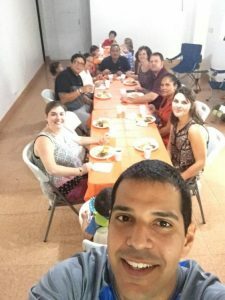 The workshop was titled, “Balanced Living Though on the Mission Field.” David and I were both so encouraged to meet other missionaries and be fed spiritually ourselves. Sometimes as missionaries we give and give, and forget that we too need encouragement from other believers. We left encouraged and refreshed. That afternoon, we got on the bus and headed back to La Ceiba for the next two days to do our supply and grocery run for the month. We are back in Rus Rus and back at work. David and Wes are busy preparing for a trip to Guatemala at the end of the month for the annual inspection of the MAG 206 airplane. They will meet up with other MAG personnel there to work on the plane for about 2 weeks. 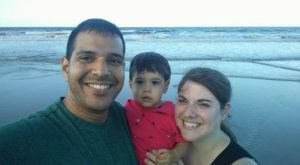 We would appreciate your prayers as they have much to do before they leave, and for myself, Denise, and Nicholas as we stay here. I had an awesome opportunity this Wednesday. I was invited into a Miskito home by two ladies here in the village for a small Bible study/prayer meeting. It was such a special treat to be invited into their home. Other Miskito ladies also joined us who spoke no Spanish, only Miskito. One of the ladies read some Scripture and had a time of prayer in Spanish and Miskito. She was speaking of the passage in Luke 18 on having faith. She even shared in Miskito with the ladies about David and I waiting patiently for Nicholas for all those years of infertility. I couldn’t help but smile as I looked around and saw all these beautiful women of darker skin color than myself praising Jesus. I kept thinking of what Heaven will be like with all nationalities and races represented serving One Lord. How beautiful that day will be! I will always cherish my first experience in a Miskito home. It was very humbling for me to see how these people live and the joy that is on their faces. What a great encouragement for me to choose joy in my life. ~ Pray for continued health for our whole family. We praise the Lord for our good health thus far. ~ Pray for us as we continue to minister to the people here at church, at Bible studies, and just by living among the people here. Thank you for your continued prayers and support. We miss and love all of you! 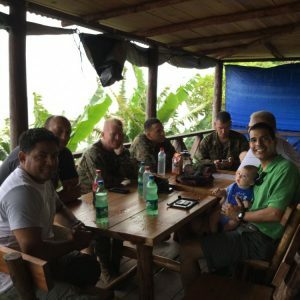 We wanted to post an update on how things are going here in Honduras. We officially moved into our side of the duplex at the end of May. 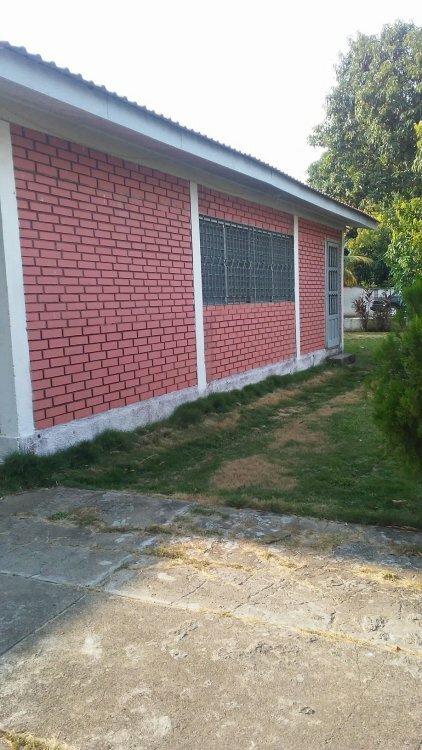 We aren’t completely finished with everything, but have made excellent progress thanks to the construction team and Hannah’s parents. We will continue to complete projects and unpack. David is working hard to get checked out on the different grass air strips out here. 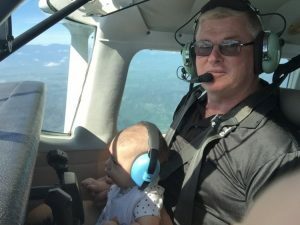 Please keep them in your prayers as Wes flies with David in the airplane. David also gets lots of experience with maintenance and not just on the airplane! When something breaks or leaks out here, he is the mechanic or plumber! There is no number to call. David is also learning how to maintain and work on other things here on the mission base such as maintaining the generator, water pump/tower, airplane, tractor, and truck. Wes has been so helpful in teaching David how to maintain these things here on the mission base. These are things we take for granted in the states. I (Hannah) am learning a lot about basic housekeeping. Those of you who know me well know how OCD I am when it comes to cleaning. Well out here you sweep and five minutes later the dust/dirt comes drifting back into your home from the dusty landscape. It’s not unusual to have all kinds of dead bugs on your floor in the morning that are flying around at night. I am not one for bugs and critters, but out here we have no choice. Also, I’m adapting to different ways of keeping our home tidy such as hang drying our clothes outside, pulling the clothes off the line really fast before the rain hits (sometimes minutes after you initially hung them out to dry), cooking over a propane stovetop (no oven at the moment), washing dishes by hand, washing out cloth diapers, pumping water from the well, etc. God is stretching me in ways I didn’t think possible. It’s all about being fluid. I’m learning that maintaining our home and taking care of our family is my first and most important ministry. I’m so thankful I am able to do all of these things. I finally get to enjoy being a stay at home wife and mommy, and I love it! 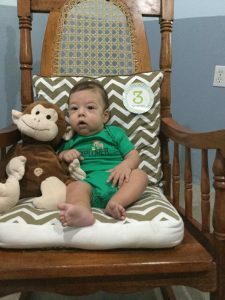 Nicholas is 3 months old today (July 5th) and is growing so fast. He weighs 14.6 pounds and is 25 inches long. He loves to lay/sleep on his belly, has started sucking his thumb, and loves laying on your shoulder. He is such a cuddle bug! He coos and smiles frequently. He can also roll over, although we have yet to see it. He does this at night while he is sleeping. We hope to witness him rolling over soon. 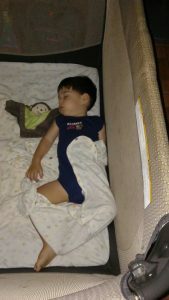 He is also sleeping through the night (8-9 hours at a time) most nights. We are so in love with our little boy and thank God daily for Him. He brings so much joy into our lives. Chester (our sable German Shepherd) also continues to grow (70lbs +). He is 9 months old. He is an excellent guard dog for our house and the mission base. He is learning how to clear the cattle off the run way. He also loves to chase pigs all around the mission base. He loves to go swimming in the Rus Rus river with us. We sure do love our fur baby! Chester loves laying on the front porch close to his family, but he is always on guard ready to protect! During the week of June 5th-12th, we enjoyed the company of the Medico medical team from the United States. There were several doctors, nurses, dentists, and pharmacists on this team who came to minister in the hospital. David and Wes had the opportunity to drive the MAG Kia truck to different villages to transport patients here for the brigade. What a privilege it was to finally have a truck out here. We praise the Lord for providing this truck for Rus Rus. Denise was busy cooking her amazing meals for the team. David helped translate to Spanish in the hospital and helped with transportation. Patients in the back of the MAG truck on their way to see a doctor at the hospital. 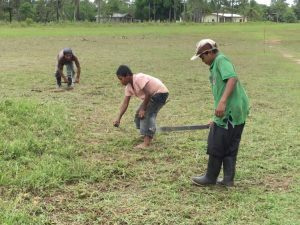 We were able to offer a work day for the Nicaragua refugees that are currently living in our village. They worked very hard and in return we were able to give them rice and beans. We are trying to continue to teach the people responsibility as we minister to them. Another ministry is simply just walking through the village a few times a week and speaking to the people. We have an avocado tree in our yard that a missionary planted many years ago. We had over 300 avocados that came from this tree so we decided to pass them out to the village. It was a great way to minister to the people and share a little bit. Everyone was so excited to have avocado, as this is a special treat for them considering they usually only eat rice and beans. David ready to pass out avocados with me in the village. All of the roads here are in poor conditions, hence the need for aviation. 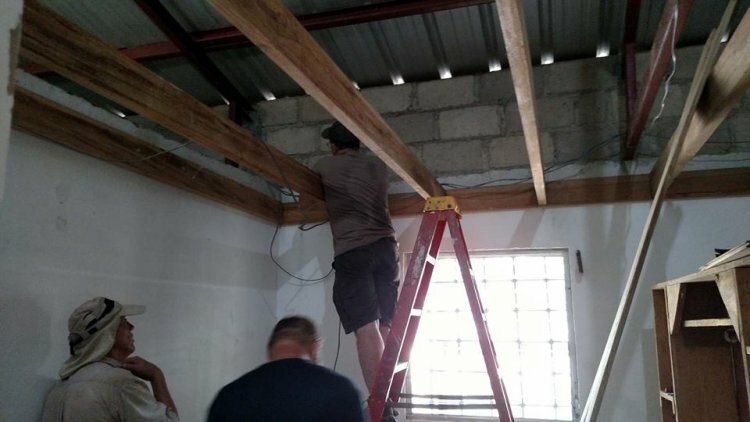 David and Wes have been working with several Hondurans over the past few weeks to improve some of those conditions. I started a Ladies’ Bible study two weeks ago. The ladies had a desire to study women of the Bible so we have started with the book of Esther. The women are hungry for the Word of God. David is hoping to start a Bible study very soon for the men on “Inductive Bible Study- How to Study the Bible.” David continues to preach from time to time in the local church here. We enjoy worshipping with the believers each week. ~ Pray for us as this has been the biggest transition of our lives. It has been hard in some aspects as we learn to adapt out here and we do get homesick from time to time. What has kept us going is your prayers so please continue to pray for us! We can’t do any of this in and of ourselves, only through the power of God. Pray we will equip ourselves with the armor of God! ~ Continue to pray for our health. Please pray for me (Hannah) as my fibromyalgia has been flaring up. Other than that, we rejoice in the good health he has given us. Nicholas is strong and healthy. We praise the Lord for that! ~ Pray for the Wiles as they are in the Philippines for a month to be with their family for their daughter’s wedding. We are excited for them to share this time with their family. Pray for us as we are here on our own for the first time, but we know the Lord is with us as we adjust. 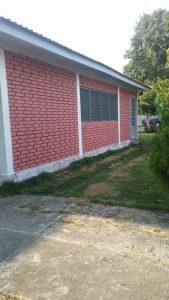 ~ Pray for a pastor for our village church here. There is a pastor that might be coming to take over the church here. 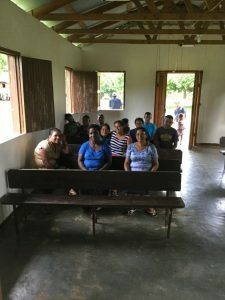 David has preached some, but is not able to fully take over the church/pastoral duties due to our primary roles here on the mission base as pilot/mechanic. ~ Pray for us during the first few weeks of August as we plan to meet with immigration about our Honduran residency and proceed with Nicholas’ dual citizenship and U.S. passport. As always, thank you for your continued prayers and support. We are so blessed to have such an amazing group of people who pray and support us financially. A lot has happened since our last newsletter and post on our website. We wanted to give you an update now that we have satellite internet up and running here in the jungle. 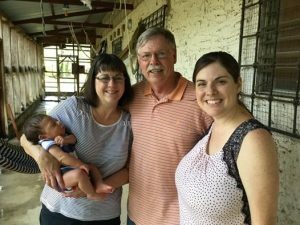 We are blessed to have Hannah’s parents here for a visit and to meet their grandson, Nicholas. First of all, thank you all for your kind words and congratulations in regards to our son, Nicholas. He is 6 weeks old and continues to grow! We are so blessed to have this little boy. He has adapted well to being a missionary kid in the jungles of Honduras. We praise the Lord for his health and sweet spirit. He has started smiling, cooing more, and loves cuddles from mommy and daddy. We feel like our hearts will burst at times because of the love we have for him. 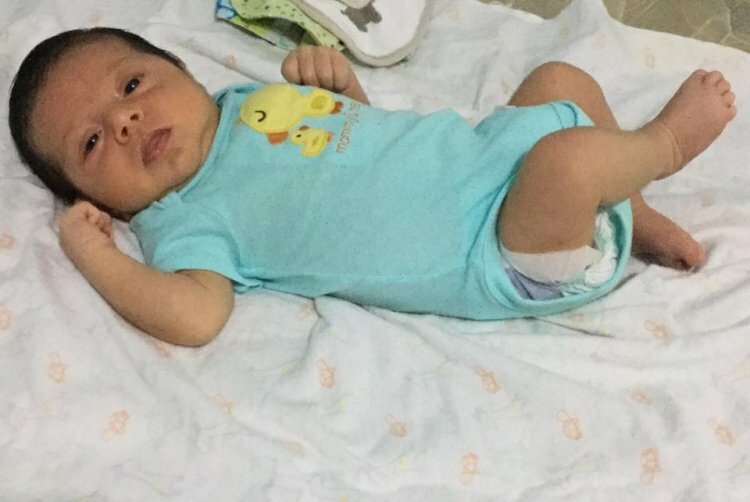 Hannah’s parents are here in Honduras May 15th-25th to visit and meet their new grandson. We are so happy to have them here after almost 5 months of not seeing them. We are enjoying our time together as a family. Chester is doing wonderful here. He is such a great addition to our family. David has been training him on how to clear the runway with cattle and other animals. He is also a wonderful guard dog. He is very protective of Nicholas and myself especially. We were able to have our first construction team here in Rus Rus April 25th- May 7th. It was a success. A huge thank you to the Wiles who did most of the hosting as David and I are trying to get settled in here. We are so thankful for all that the Wiles have done for us to make this such a good transition. 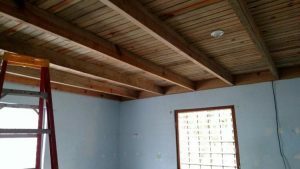 The construction team completed the ceiling in our home, re did all the screens on all the windows (a big project), some welding projects at our home and the hangar, lots of cleaning, and started prepping the walls for painting. Next up on our list is to paint, which Hannah’s parents have been helping with. Once we have painted we will be ready to move in. We are currently living on the other side of the duplex as we wait. We are thankful to have the other side to live in while we wait for our side to be completed. 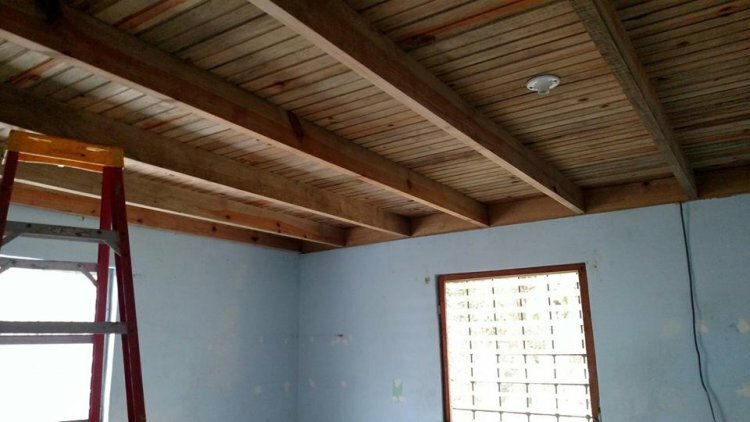 Our construction team did an excellent job redoing our ceiling. David has been flying a lot with Wes and building more experience with the jungle air strips. Pray for wisdom and patience as he gets checked out on each one. 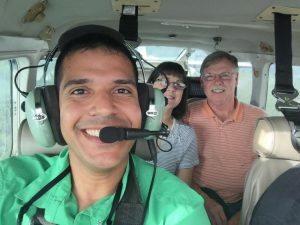 He did do his first flight with just Nicholas and I to the city and did a wonderful job. 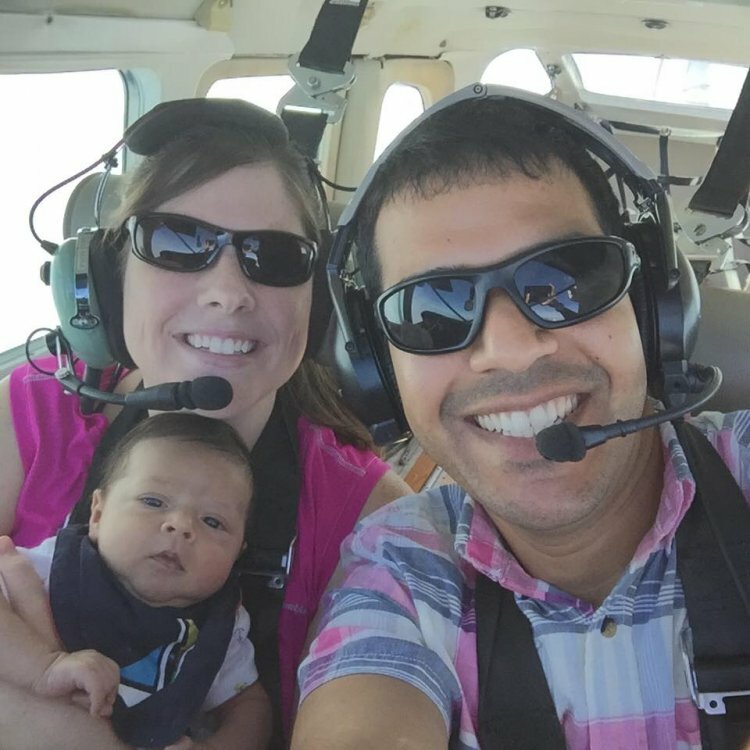 We praise the Lord for how he has gifted David as a pilot and how he can use this gift to serve the Lord here. David and Wes flew to Ahuas, a nearby village, for flight practice and to get an airplane part. 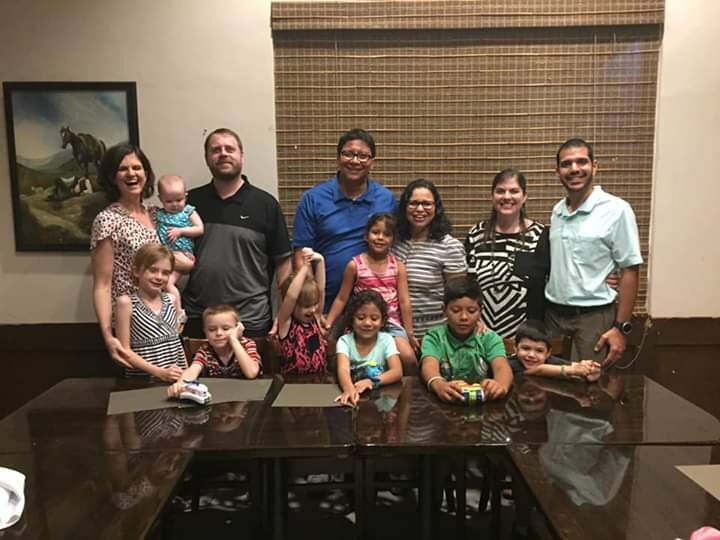 They were able to catch up with some MMS guys from the U.S.
We will be helping to host a medical team, June 5th-12th, with the Wiles. Please pray God would use this team greatly and many would be helped at the hospital. People will come to be seen from various villages and even from Nicaragua, 5 miles away. We are looking forward to getting more involved with the people in ministry once things settle down and our home is up and running. We are ready to jump in, but know we have to be patient during this season as we adjust. Pray for us as we continue to adjust to the heat and humidity, living in the jungle which is a lot more work with basic housekeeping, and just being away from our family. We truly believe these people here are going to become a part of our family. We are excited to minister to them. Our first flight as a family with David as our pilot. ~ We praise the Lord for safety and protection every time we are in the airplane and for the safety he has given us here in our new home. ~ We praise the Lord for good health for our family with all of the transitions we have had. 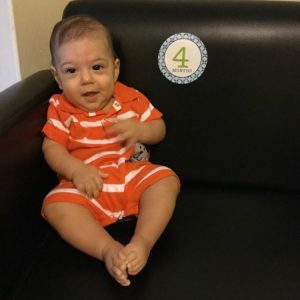 ~ Please continue to pray for us as we are still going through the residency process and in the process of getting a passport and more legal paperwork for Nicholas. It’s a long process. ~ Pray for the upcoming medical team coming June 5th-12th. That we would all be the hands and feet of Jesus as we minister to these people. ~ Pray for strength and endurance for ourselves and the Wiles as it has been a busy few months and will continue to be busy until we get settled in. 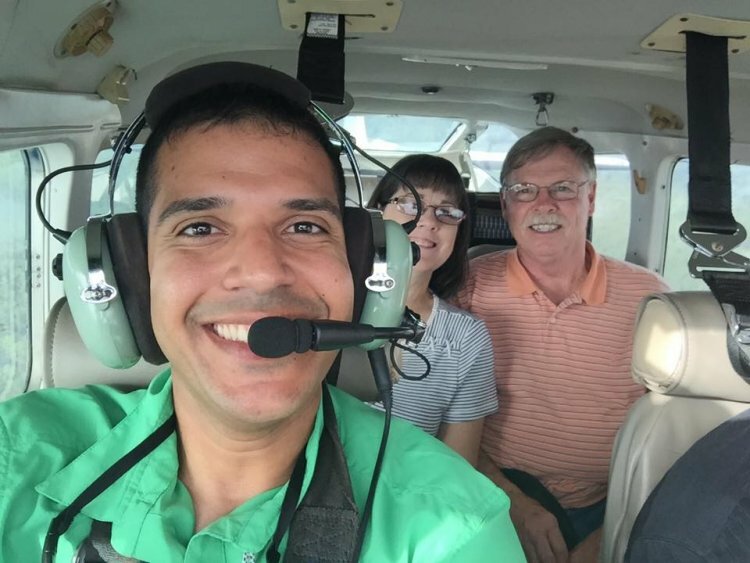 ~ Pray for David as he continues to get more experience flying on different village air strips. We hope all of you are doing well. Thank you for your continued prayers and financial support. Thank you for believing in what God has called us to do. We are humbled that God chooses to use us. Copyright © 2019 Moras in Ministry – Serving with SCORE in Honduras All Rights Reserved.